Hi there! I'd like to take the time to welcome you to my blog, whether you are a regular reader or just visiting to find out more information about how you can donate to the Autism Society! There are many individuals and families who are affected by Autism and the goal of this fundraiser is to increase awareness in an effort to help those families! 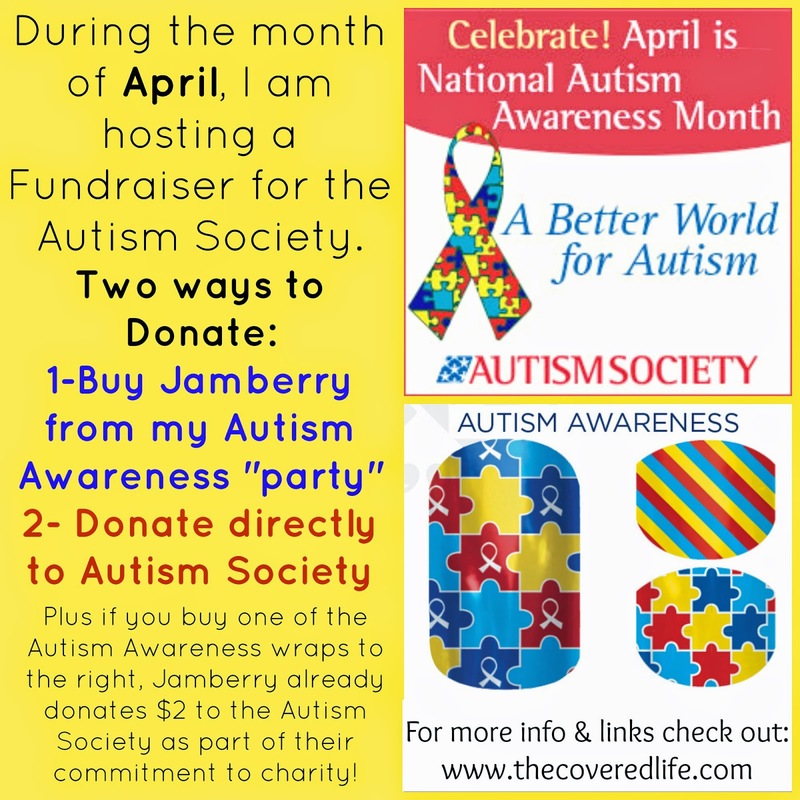 In addition to that page, as an Independent Consultant with Jamberry I decided to host a fundraiser through Jamberry as well. 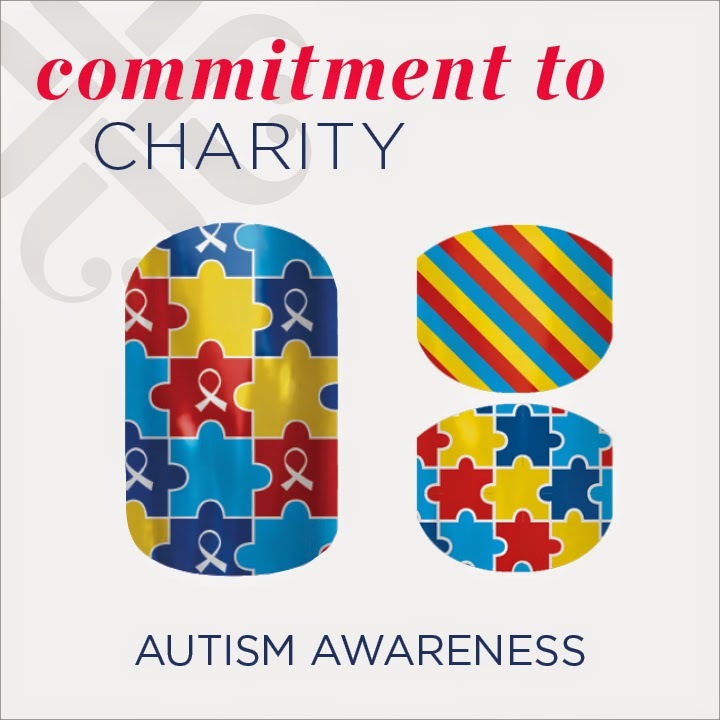 Here's how it works: You buy a product from Jamberry, it can be wraps, hand/nailcare products, Lacquer, heater, application kit- (whatever Jamberry sales basically) and make sure the Autism Awareness "Party" is selected at checkout and then 10% of the sale is donated to the Autism Society. 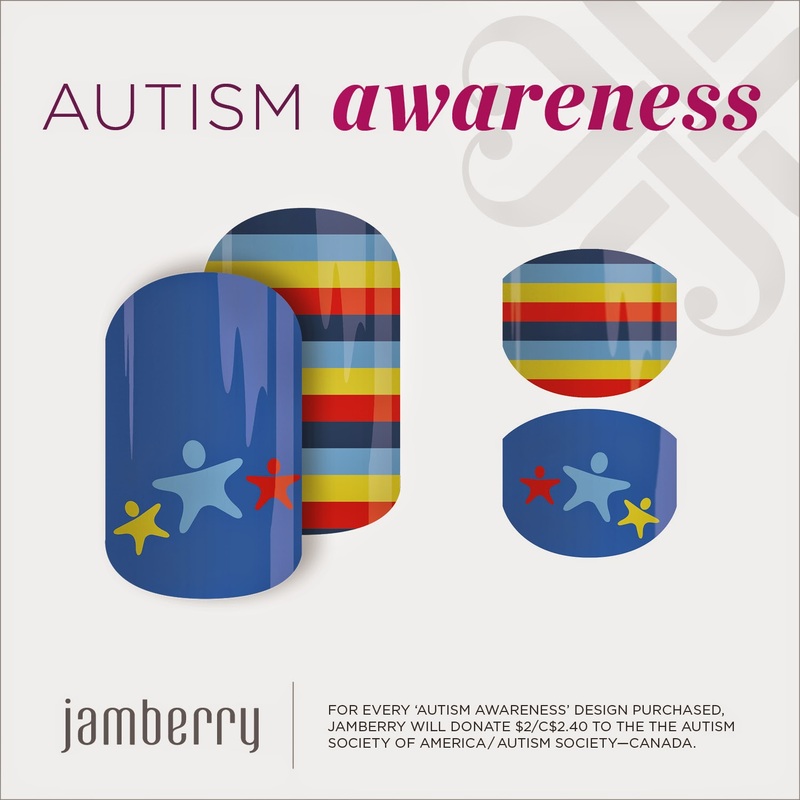 And if you want to help spread awareness, you can consider purchasing one of Jamberry's FOUR available Autism Awareness wraps- one is a regular sheet and the other is for Juniors- PLUS when you purchase one of these wraps, Jamberry donates $2 to the Autism Society- which is part of their ongoing Commitment to Charity! This Fundraiser will be from April 1 through April 29, 2015. Even if you aren't able to donate yourself, help spread the word, by sharing this website or the info graphic at the top of the page so that maybe others will!